Although there are many restaurants in central Okinawa that serve breakfast, tourists may have difficulty finding places in Naha and areas around Kokusai Street that serve breakfast other than their hotel. However, Hotel Rocore Naha, located near the south entrance to Kokusai Street, was ranked No. 3 for the second consecutive year in TripAdvisor’s Best Breakfast Hotels in Japan 2017. 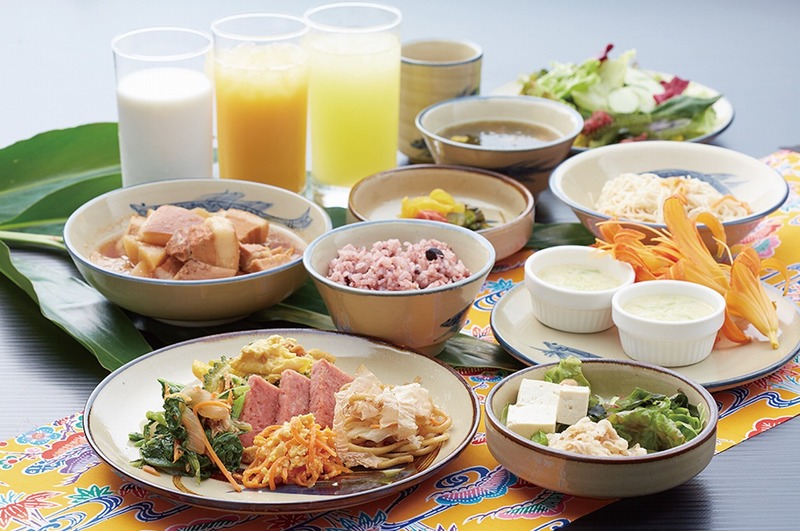 The breakfast buffet consists of a diverse menu that health-conscious people will appreciate including tropical fruits and salads featuring Okinawan vegetables as well as a full array of Okinawan fare such as mozuku seaweed and champuru (stir-fried) dishes, along with Japanese and Western offerings. 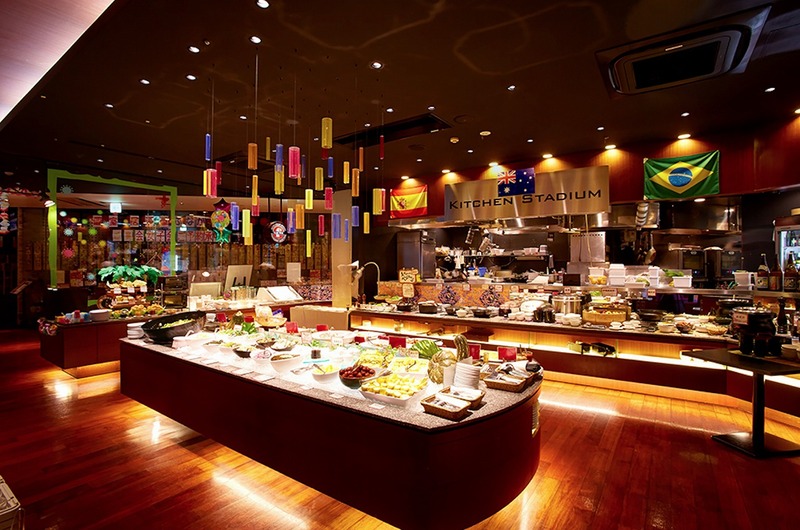 You can enjoy freshly cooked dishes prepared in an open kitchen.Dishes from around the world are served at the dinner buffet, with specific countries and regions featured for a limited time each.